I'm really excited to share this post with y'all! When I find a company that I enjoy working with as much as I love their products, I tend to latch on. Finding a brand that is super helpful, has excellent customer service, and never disappoints, is truly hard these days. Seriously. One such company for me is Minted. I've used Minted many, many times in the past. They did the invites for my best friend's bridal shower. They produced my blog business cards. I've ordered framed artwork from them before. And Minted is where I get my Christmas cards each year. No joke. One of the main reasons I keep going back is their exceptional customer service and being able to tailor each order to exactly what I want. If it's not offered on their site. Ask. You'll get a prompt response and generally the answer is yes. Most of the time without an additional fee! 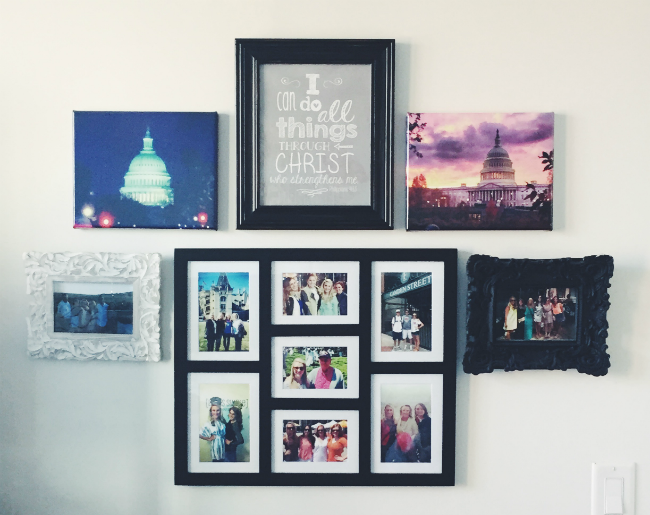 While I love using Minted for all my paper product needs, they also offer artwork and frame services. Recently I've had this itch to create another gallery wall in my bedroom. Gallery walls seem to be all the rage right now, so why not jump on that bandwagon. 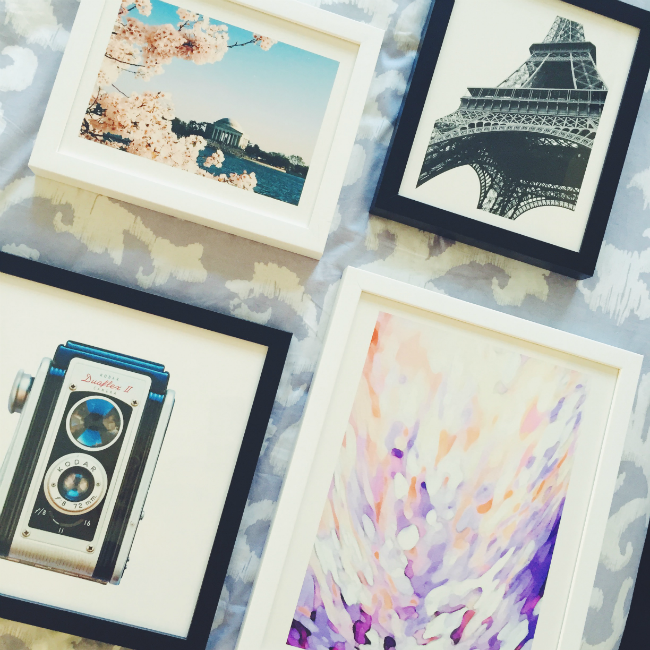 It was perfect timing that Minted contacted me about their newest prints and artwork. 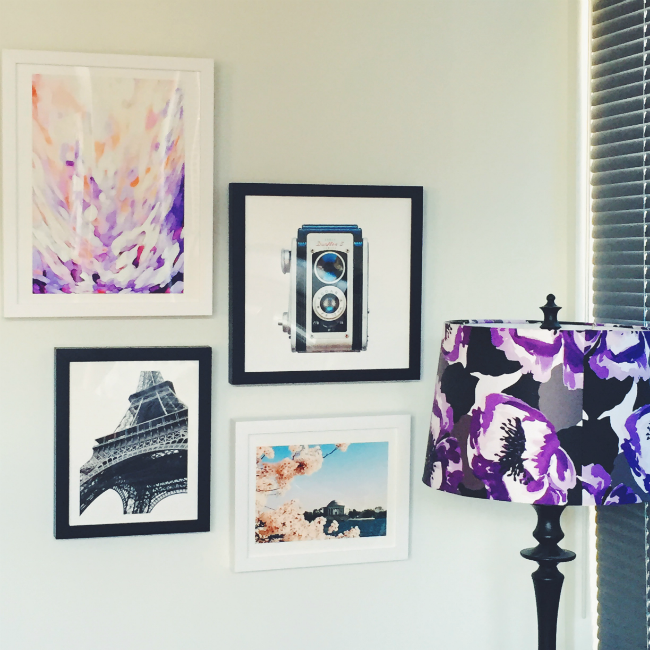 While I already own a few prints from Minted, I jumped at the chance to add some of their newest pieces to my wall. I have this awkward space right next to my bed, where I used to hang my sorority composite and paddle. Since I recently joined the mid-20's crowd, I decided it was time to retire the college decor. For my gallery wall I used a combination of black and white frames. The reason? Because the furniture in my room is black and my desk is white. So I wanted to use the mix of wood colors to blend with my furniture. When it came time to choose the new pieces, I wanted to include a little bit of DC, my favorite color, and of course the symbolic city of romance... Paris. I loved these three prints right off the bat, and they went well with the camera print that I already owned. 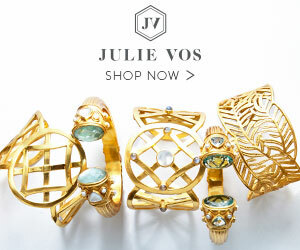 Each piece has a meaning behind it. That's my biggest piece of advice for creating your own gallery wall. I also have a larger gallery wall across from my bed that I've been adding to over the past year. I still need a few pieces for the bottom half, so I may just have to start skimming Minted's site once again. 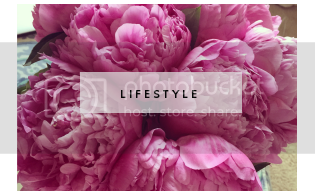 Checkout Minted's newest prints here + all the services and products Minted offers, here. 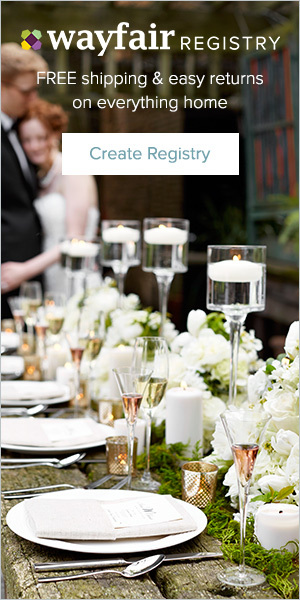 **Thank you to Minted for sponsoring this post. Product was given as compensation. All opinions and photos of products are my own. 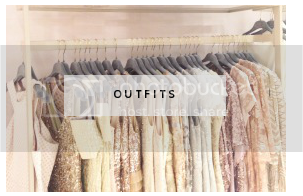 Thank you for supporting the brands that keep Primp & Proper going. I love Minted so much! Your wall came out great! Have an awesome weekend! Thanks Bree!! I love how it came out too :) Hope you had a great weekend! Love the wall! 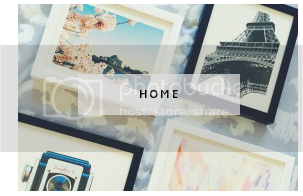 I've been looking to create a gallery wall to spruce up my apt, so I'll have to check Minted out! You definitely should Rachel! They have so many amazing prints and photographs to choose from. You can even frame your own photos! So adorable! I love the camera one especially! Thanks Corbin!! The camera one is my favorite too!